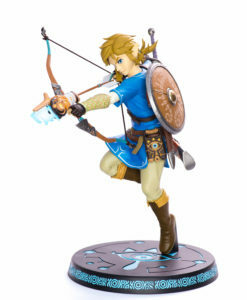 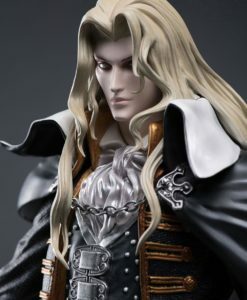 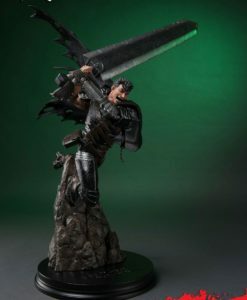 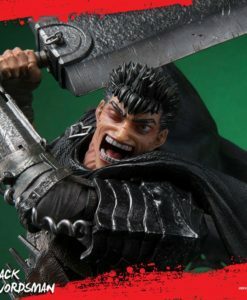 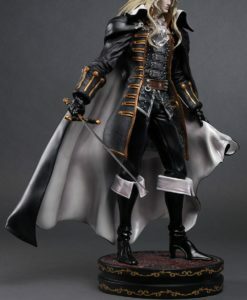 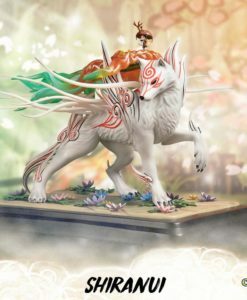 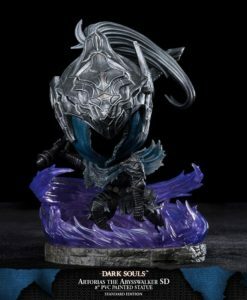 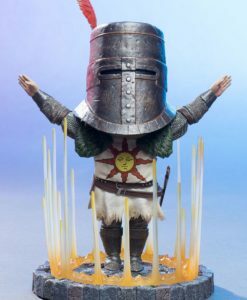 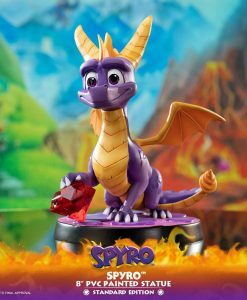 Earn 64 Points with this purchase! 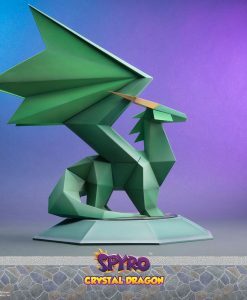 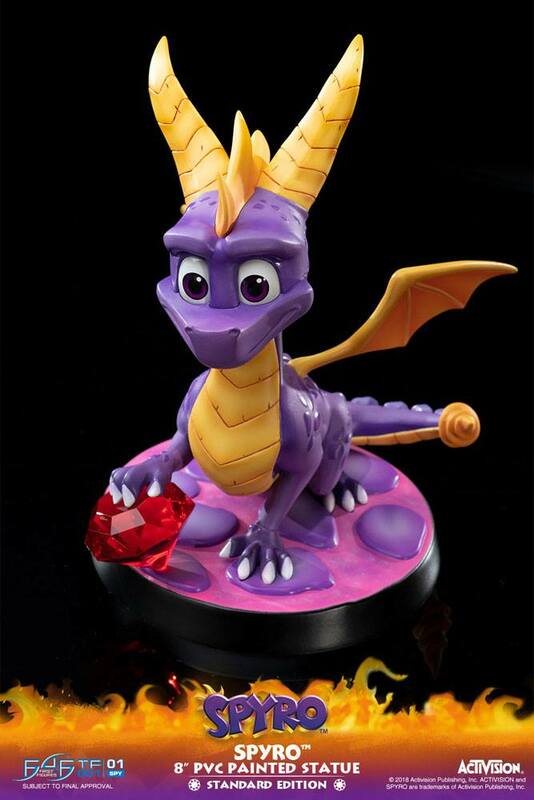 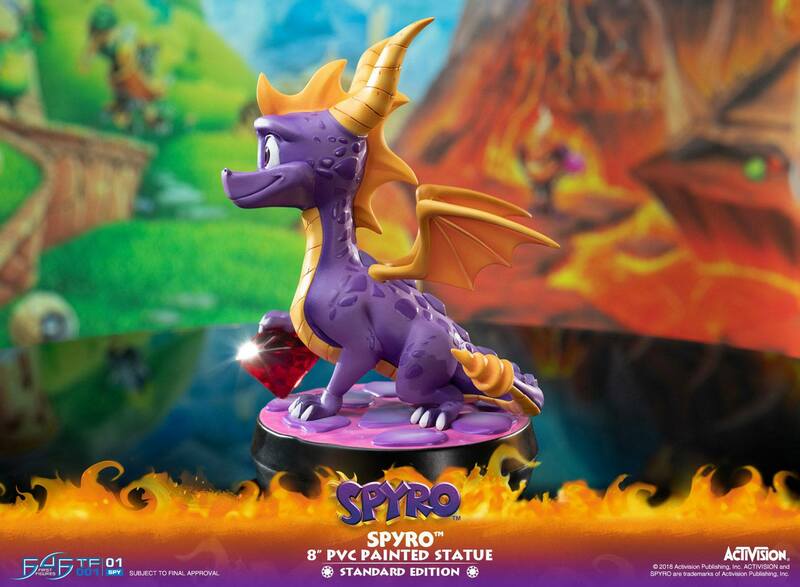 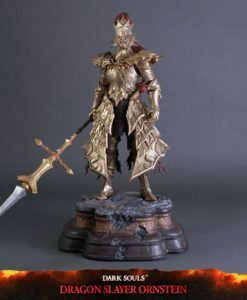 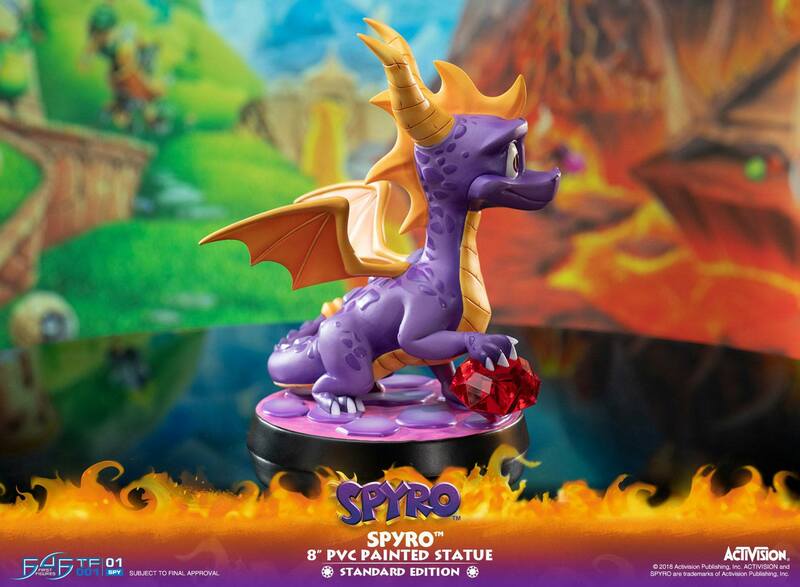 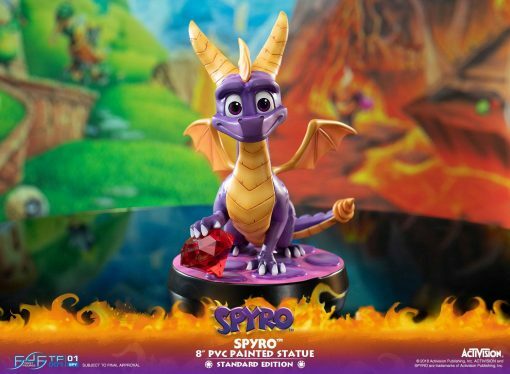 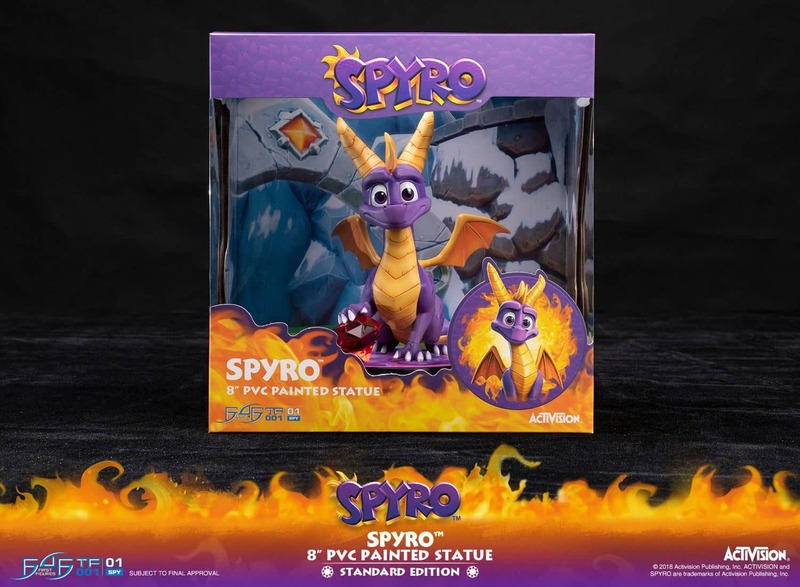 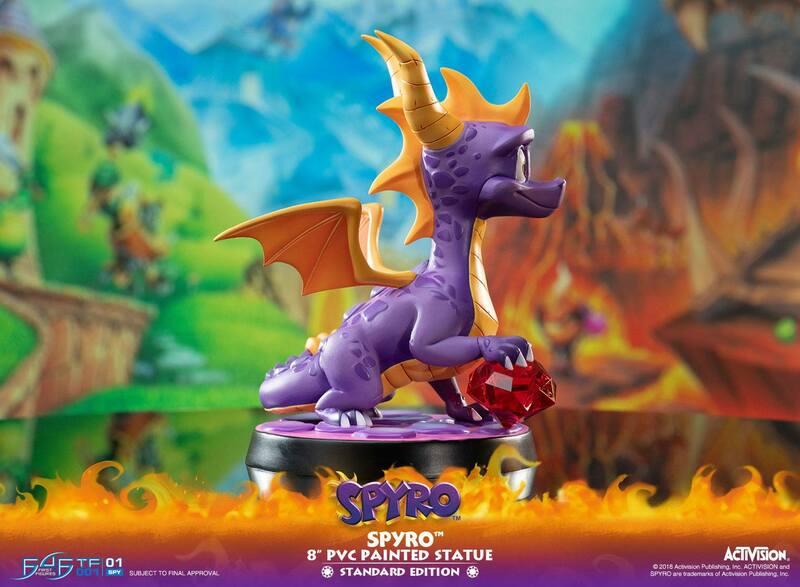 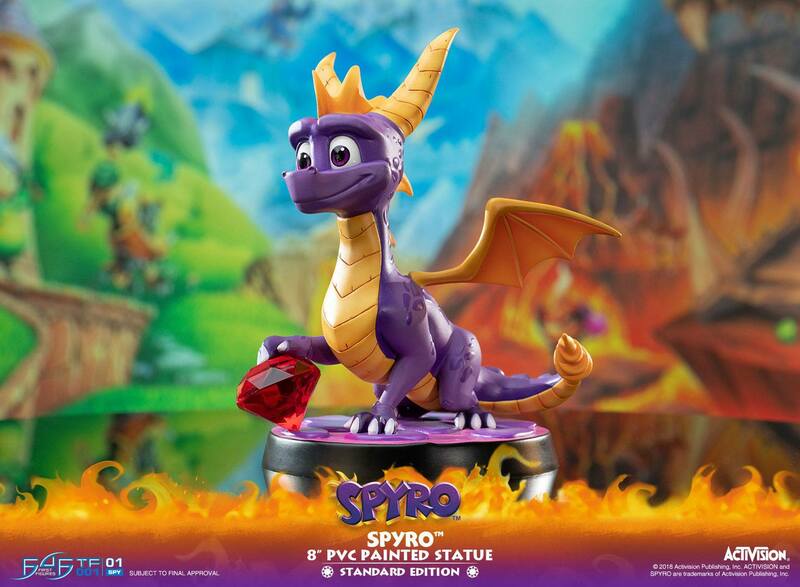 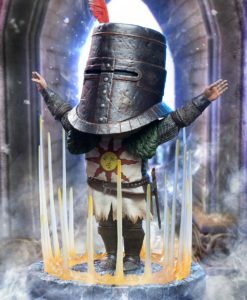 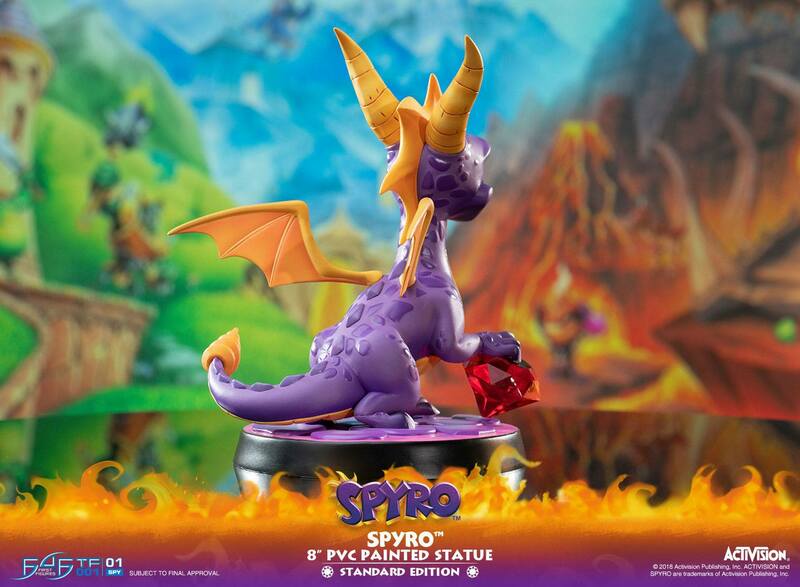 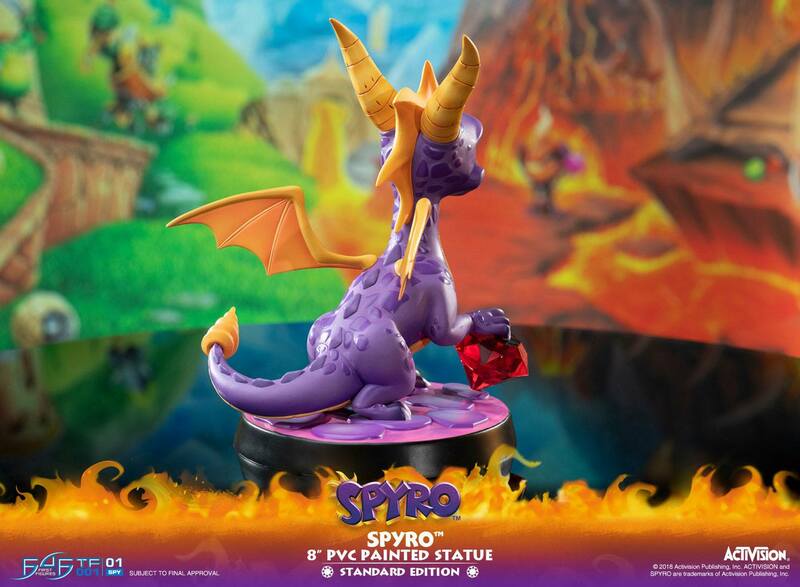 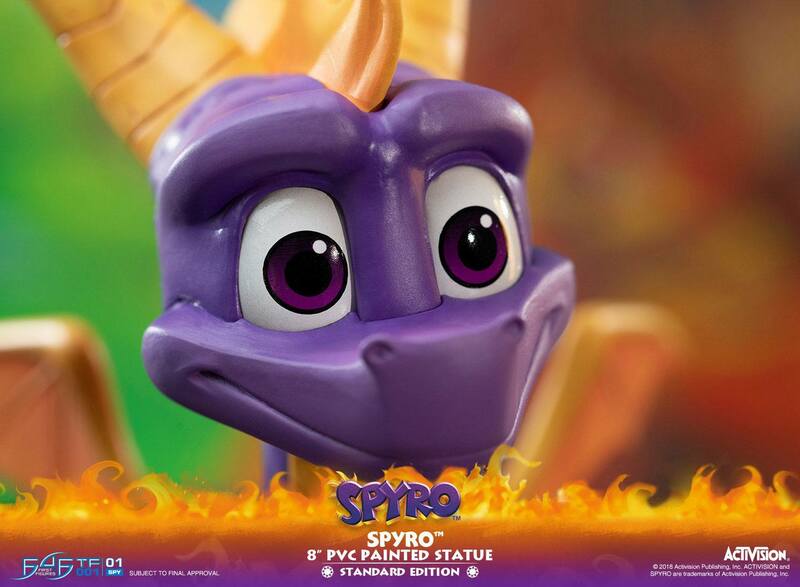 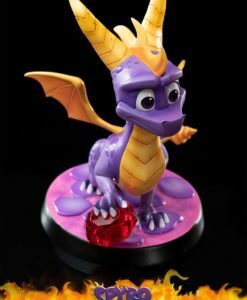 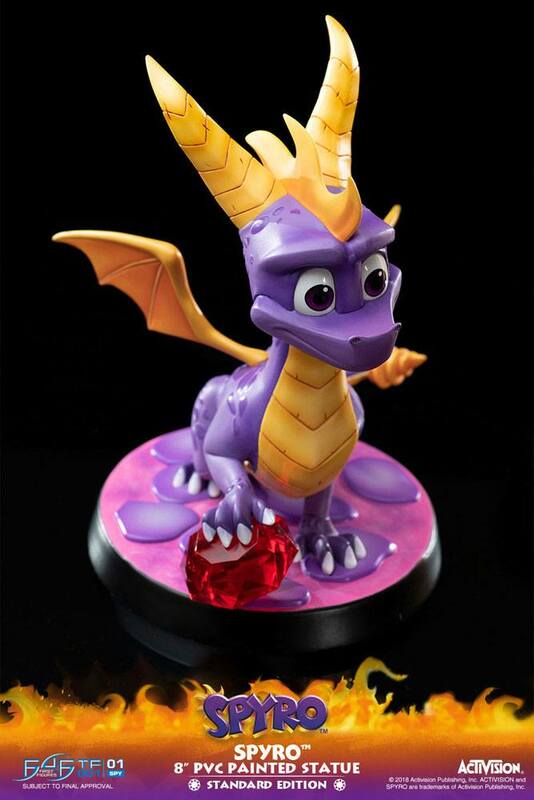 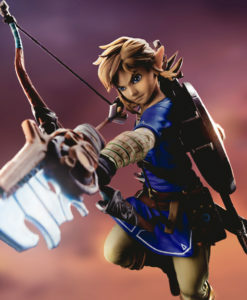 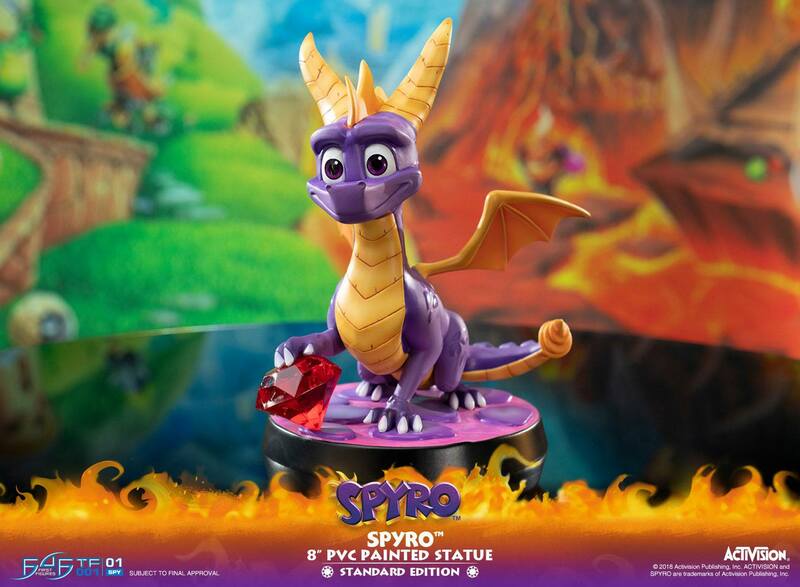 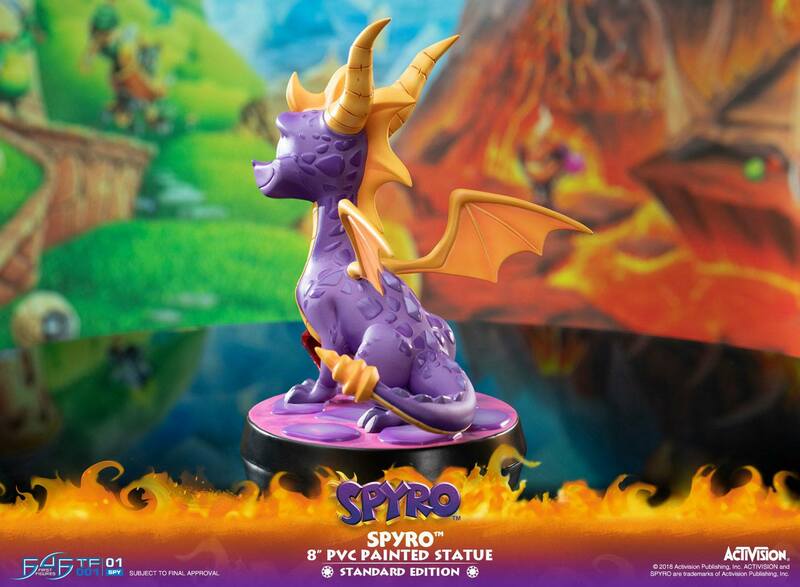 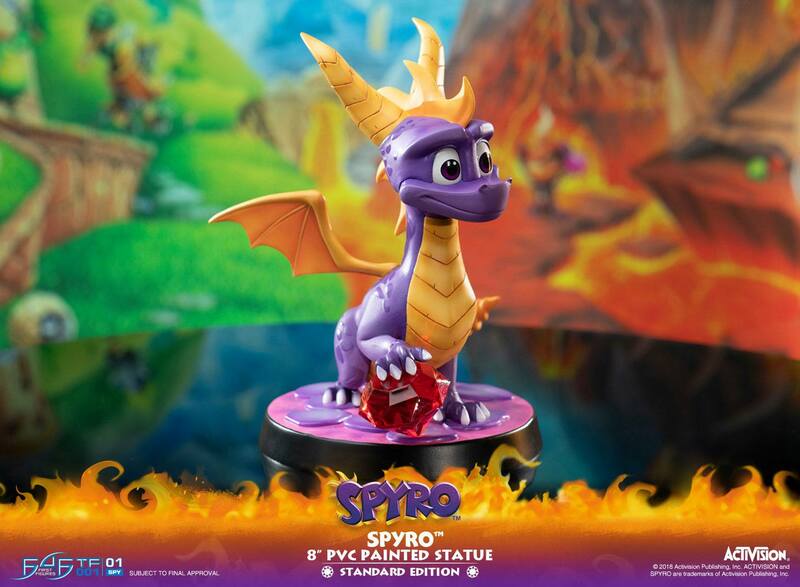 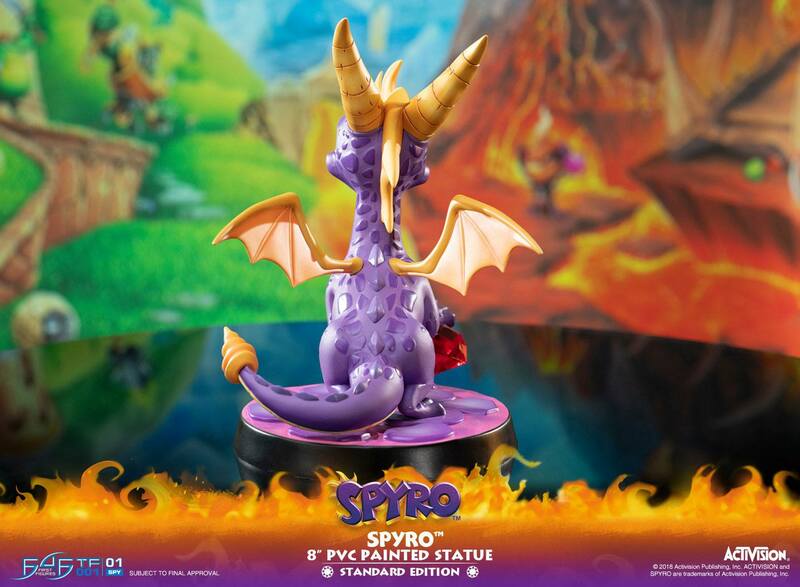 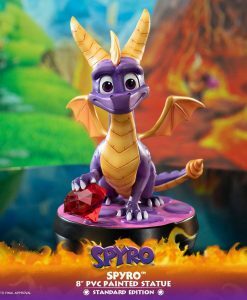 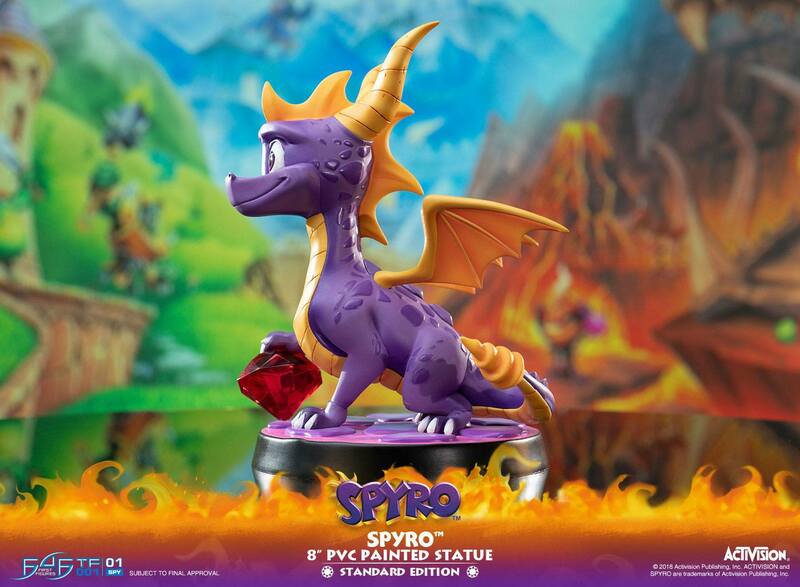 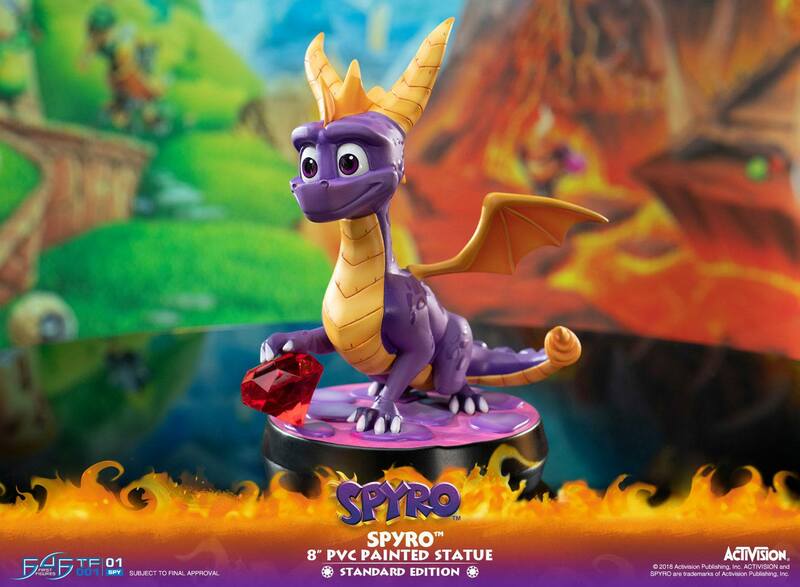 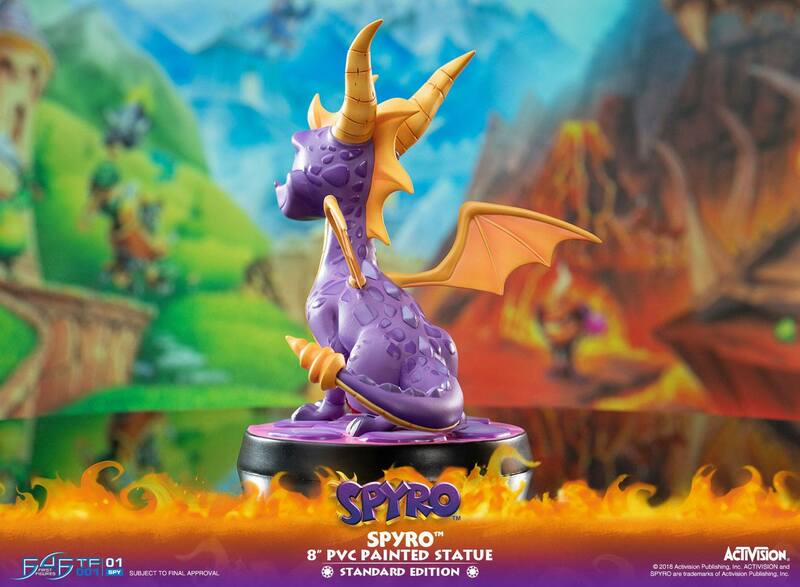 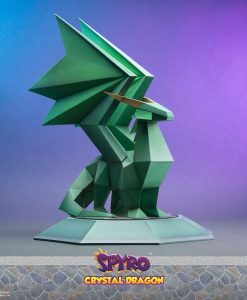 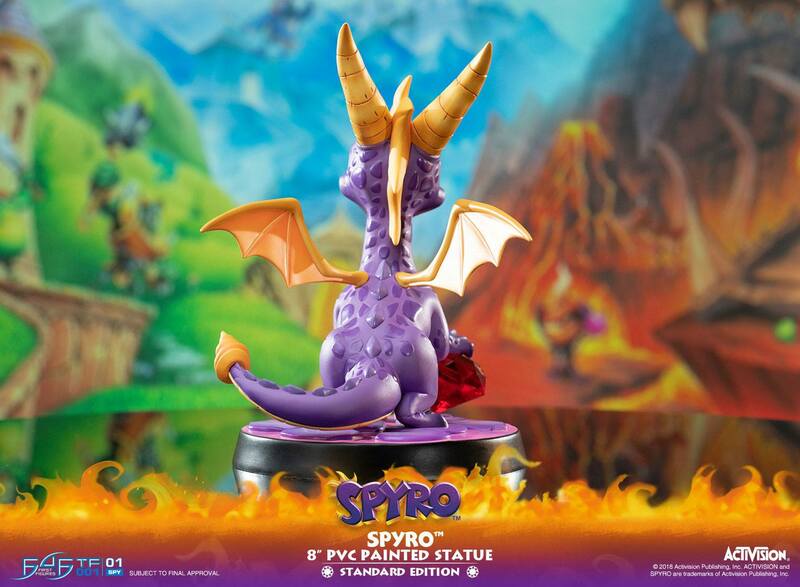 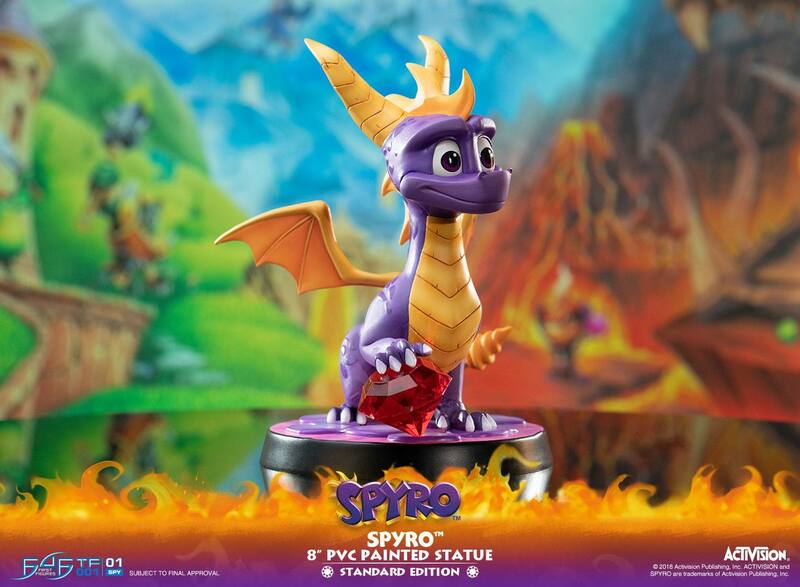 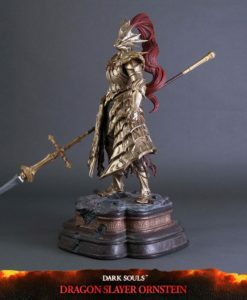 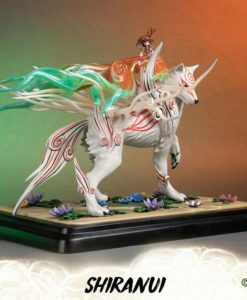 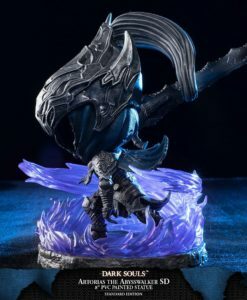 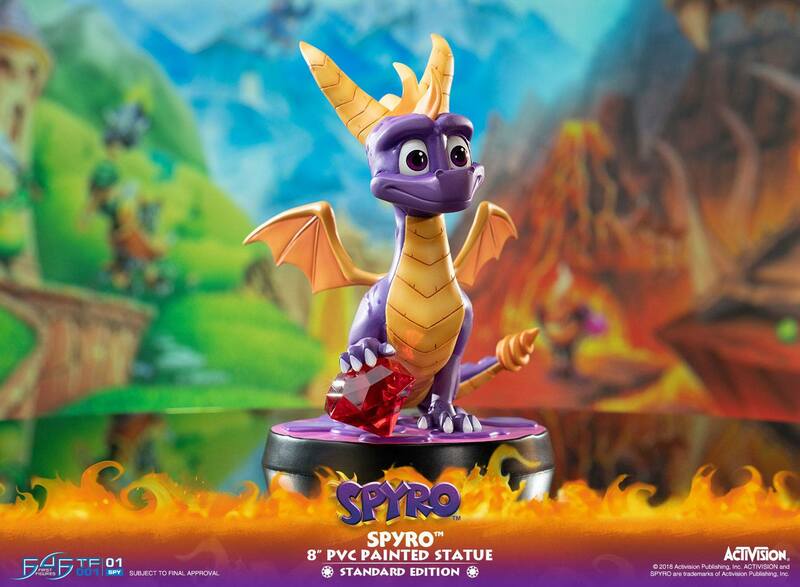 First 4 Figures is proud to present the highly anticipated Spyro™ the Dragon – Spyro™ 8 inch PVC Painted statue. 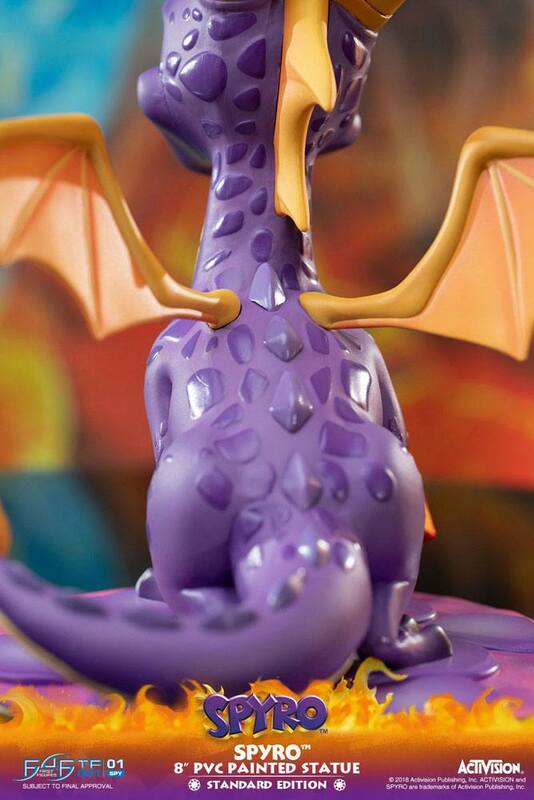 Sparx and Spyro have been best friends as far back as when they were still eggs. 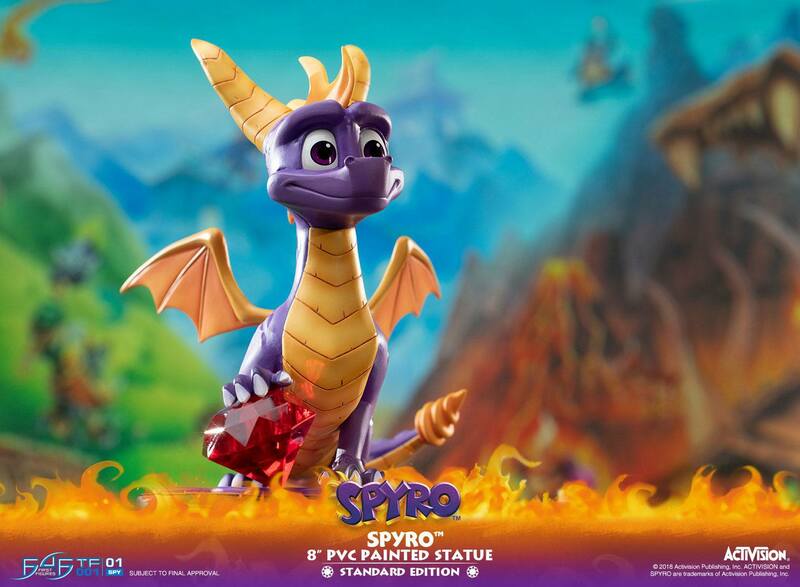 Sparx follows Spyro around and acts as his health indicator. 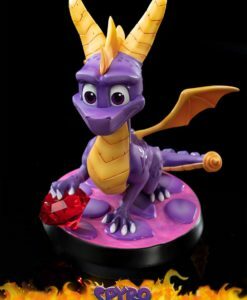 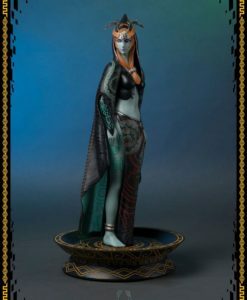 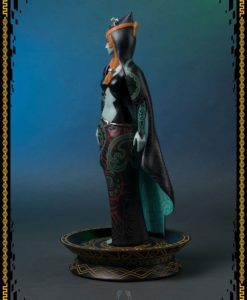 The dragonfly also helps collect treasure that’s scattered throughout the game world. 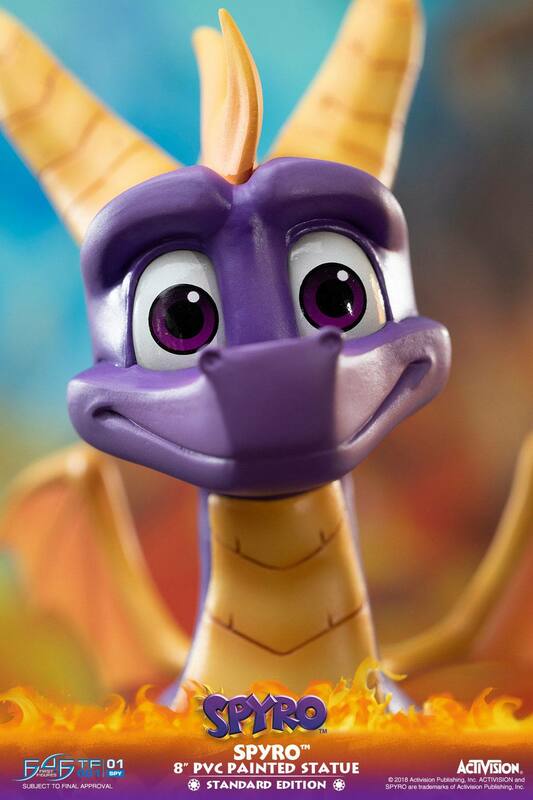 Spyro will be vulnerable if Sparx disappears, but he can replenish Sparx by finding butterflies for him to eat.